(York Daily Record) - An icon that connects York and Lancaster counties could soon receive a bright facelift. 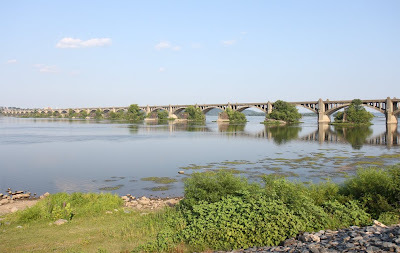 Officials from the Lancaster-York Heritage Region and Rivertownes PA USA unveiled plans recently in Columbia, Lancaster County, to revamp the Veterans Memorial Bridge with a new lighting system and gardens. The art deco-style bridge, which is on the National Register of Historic Structures, spans the Susquehanna River linking Wrightsville and Columbia along Rt. 462.